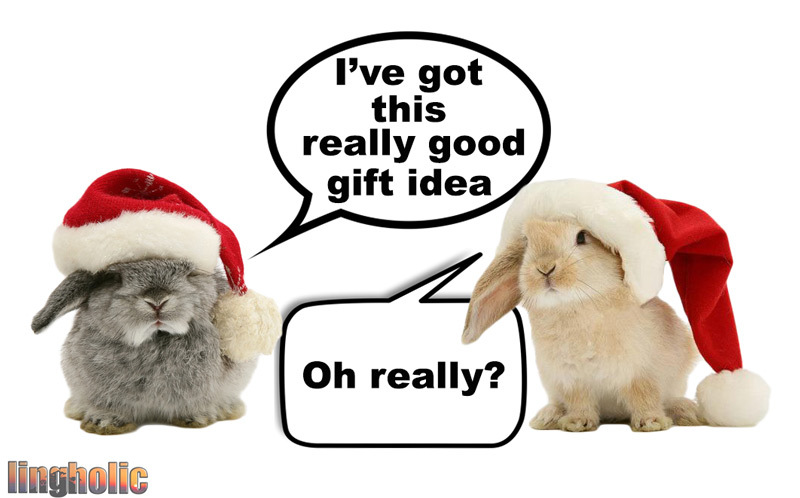 The Best Christmas Gift… for Anyone! Whether you like it or not, it’s that time of the year again. Yet another consumerist frenzy is on the horizon almost as soon as Black Friday is behind us, and a bit of early planning might save you some stress and heighten the chances of you finding that perfect gift you’ve been thinking about for your family, friends, and/or tender half. But hey, I know just as much as you do that finding a good gift is not an easy thing. In fact, for me at least, every year is the same struggle. We all want to come up with something unique, something memorable, and something that will last, but we are surrounded by superficial gadgets and products that most of the time end up collecting dust almost immediately after it’s been unwrapped (or that get consumed in one evening and give you a headache more than anything else, in the case of alcohol). 25-pieces forget knife set, Chanel no 5 perfume, fancy socks, a bottle of expensive wine, the latest talking electronic rice cooker. You see where I’m going? But what if… there’s a gift out there that could potentially, in the literal sense of the word, change a person’s life for the better? What if you could find a gift that could enrich, rather than add clutter to, a person’s life? If you’ve known me for some time, you probably won’t be too surprised by what I’m about to recommend: the gift of a foreign language. I’ve written quite a bit about the benefits of learning a foreign language. A language is something that truly follows you all of your life, very much like a good education at school or a cherished memory does. Speaking a foreign language not only improves your employability, advances grey matter in your brain, or protects you against Alzheimer’s and dementia among other diseases, but it truly is a mind-opening and character-building skill with a host of social and self-development benefits associated to it. Alright. Now I may have managed to convince you thus far that the gift of a foreign language might be a good idea for this upcoming Christmas or for your buddy’s birthday or even for yourself, but where do you start, and what are some good resources that are more likely to make a good fit? Below you’ll find a short and sweet list of what I think are some of the best resources usefully sorted by the type of person they’re most likely to be suitable for. Gift Ideas for the Right Type of People! Different language learning textbooks, methods, and software suit different types of people. Below you’ll find a quick overview of a variety of resources to suit the most eclectic of groups. Most of these resources are available in a wide variety of languages, including popular languages such as Chinese, French, German, Italian, and Spanish. Click on any of the hyperlinks or pictures to purchase any of the products. We’re all busy, but some of us like to hammer that point more often than others. If you’re looking to please the type of person that’s always on the go, many awesome language learning methods are audio-only, which are perfect for listening in the car, while exercising, or even while shopping. Pimsleur: highly professional spaced-repetition audio lessons that ensure you won’t forget any of the new words and sentences you come across. Michel Thomas: follow along a professional language teacher and his students with this mnemonic-enhanced audio method that uses creative ways to help you memorize words and sentence structures. Glossika: an intensive audio method that also comes with helpful bilingual transcripts in PDF, Glossika is for the high beginner or intermediate learner who is looking to get fluent in a short amount of time. Assimil: a personal favourite of many experienced language learners, this highly effective method engages you through useful dialogues while keeping grammar to a minimum. Lonely Planet Phrasebooks: very useful for the traveler who’s looking to learn just enough of the local language to get by, these phrasebooks are easy to carry and contain a wide array of useful sentences divided by topic. Teach Yourself Language: the classic self-directed language learning method, Teach Yourself contains useful dialogues and grammatical explanations to guide through from beginner to advanced learner. Italki: find an affordable language tutor from anywhere around the world and practice through Skype (video chatting). Rates as low as $5-7/hour for private tutoring. A cool scratch map of the world! A personal favourite of mine, and great to motivate the budding language learner, this cool “scratch” map literally lets you scratch on the map the countries that you’ve visited! Certainly a great motivator to further explore the immensity of our world. Rosetta Stone: by far the most well-known language learning tool throughout the world, Rosetta Stone is an engaging computer software that uses images, text, sound, and video to teach words and grammar by spaced repetition, without translation. Rocket Languages: this very useful language-learning software works well on computers and tablets alike, and offers a comprehensive package to the motivated learner, with a wide array of listening, reading, and writing exercises. While perhaps a bit harder to come by, some folks just like the more traditional academic-type textbooks that introduce everything in orderly fashion with all the grammar rules and explanations needed. The textbooks below are my personal picks! Tuttle Language: highly professional and comprehensive textbooks available in a wide array of languages. Specializes in Asian languages. Living Language:this comprehensive and very affordable textbook series makes use of all the tools that adults have at their disposal to learn efficiently and effectively, without clumsy guesswork or frustration, in order to really learn how to speak a new language. I used to think I hated learning languages. In fact, a lot of people seem to think this way, and you can’t really blame them since language classes in high school were perhaps not the most engaging, to put it diplomatically. But learning languages can be a ton of fun, and these resources are sure to make the journey filled with more excitement! Rosetta Stone: an engaging computer software that uses images, text, sound, and video to teach words and grammar by spaced repetition, without translation. Definitely makes learning languages fun! Italki: find an affordable language tutor from anywhere around the world and practice through Skype (video chatting). Rates as low as $5-7/hour for private tutoring. A good way to make friends from around the world! Well, that’s it for today. 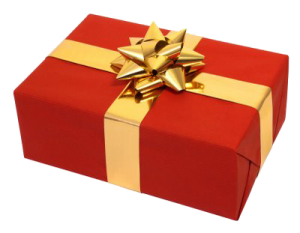 I hope this rather exhaustive list of language learning gift suggestions will come handy to you in one way or another. While language learning might not appear like the most exciting of endeavors to everyone out there, with the right mindset and motivation, it’s truly a life-changing, door opening journey. Give it a try! Thank you for the article, are programs such as pimsleur and Michel thomas enough to get someone to proficiency or would they be required in combination with other tools. (Spanish is the target language) I want to create a course or learning structure but want to get all the tools i need to go full throttle if that makes sense. any help you can provide would be much appreciated feel a bit out of my depth!?! There is never one method or course that will get you to “proficiency” (however you define it). You always need to mix learning materials and, especially as you reach an intermediate level, draw from as many sources as possible to get exposed to the language. Hope this helps, and good luck with your Spanish studies! Thank you, This is exactly what I wanted and more importantly needed to hear. Thank you for your prompt response, you have a fan for life in your site, it is fantastic! First of all this is the best website about learning languages that i found on the internet. I really appreciate the job you have done. I have just found your website and i already got assimil (french) based on your reviews. I got interested also in the living language method but when i turned to amazon to buy i saw that the most helpful review is a one star review saying that the new edition was “dumbed down”. do you agree with that? do you think it’s better to look for an older edition?